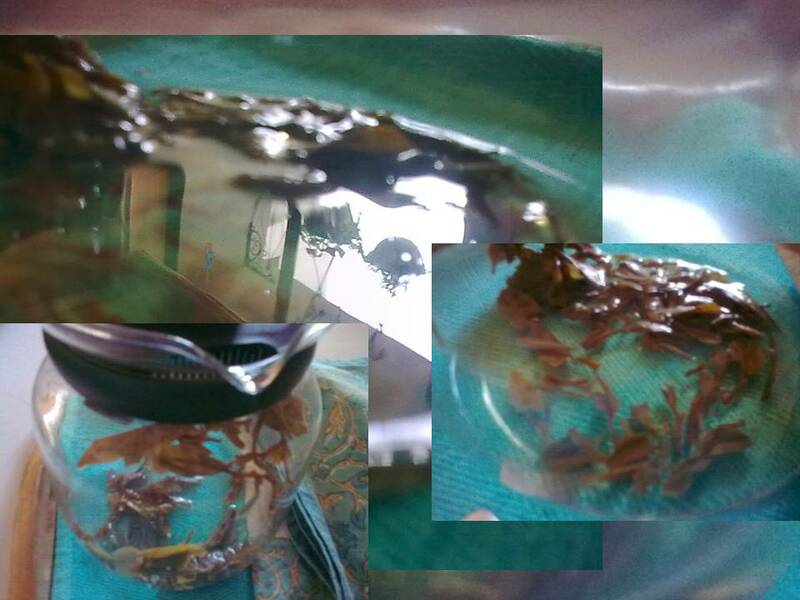 A few weeks ago Mahipal broke my Borosil, glass tea-pot. I was upset, but took out an old stoneware one from the cupboard and have been using that since. I have not had the time to get another glass one, nor really felt like it. 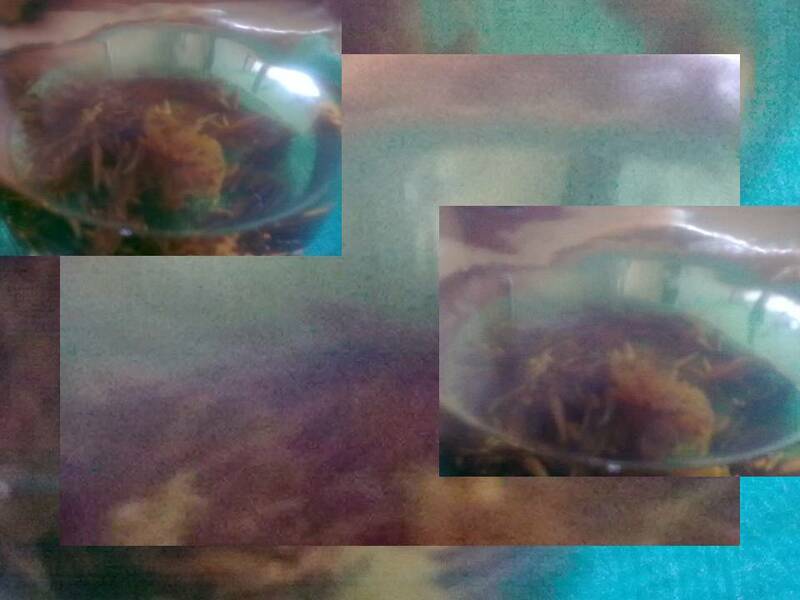 I thought what the heck; it’s just a tea-pot, what I relish is the tea and who cares what the tea pot looks like, ha! And that is the mistake I made. It does matter how you see the tea being brewed. Not just because it makes a better cup of tea, but it’s like living without being able to watch yourself, see how your thoughts create life and its circumstances; witnessing your life unfold. When one is busy with the world, it does seem tedious to live this way. Yet, when I am less restless - in that relative quietude, at ease with myself, I tabulate the way my mind works. I watch questions being answered effortlessly through intuitive leaps and have also observed people do things even before I have asked them. It’s fascinating. In that space, conversations are like someone telling me what I am feeling, even though they are expressing their own - like looking into a thought mirror. 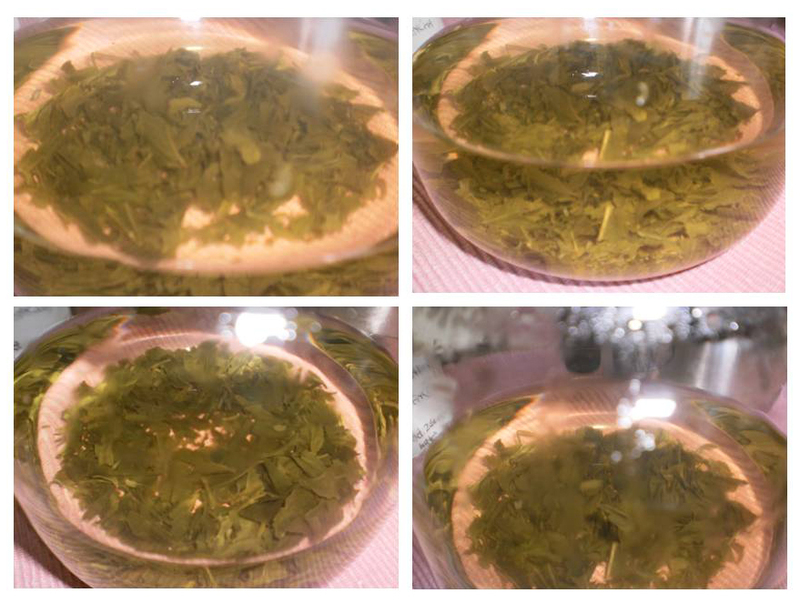 In some ways, it’s not unlike observing tea brewing in a glass tea-pot where leaves create patterns and the colour of the tray cloth also becomes part of the design. The way you look determines what you see. 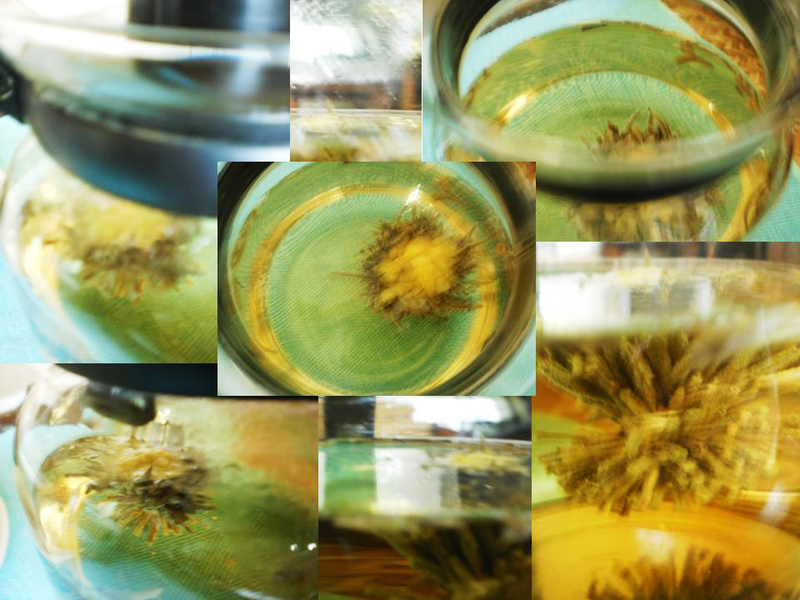 Some of the photographs that I have taken hardly look like tea leaves at all. This may have something to do with the fact that in trying to get really close up with my ‘point and shoot’ Olympus camera, the image is blurred. Out of focus or not, they work well for me because it is not really watching tea brew that enchants – but looking at the scene, as if watching the inner landscape unfold. And in these photos, with the turquoise blue or pink ribbed handloom tray-cloth as a backdrop, the images seem almost ethereal. In the ceramic pot everything is eclipsed from the eye. 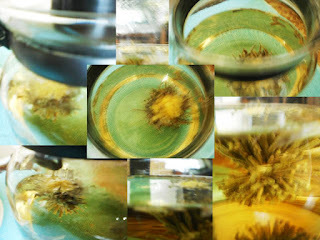 If I get absorbed in something else, the tea becomes too dark and bitter. 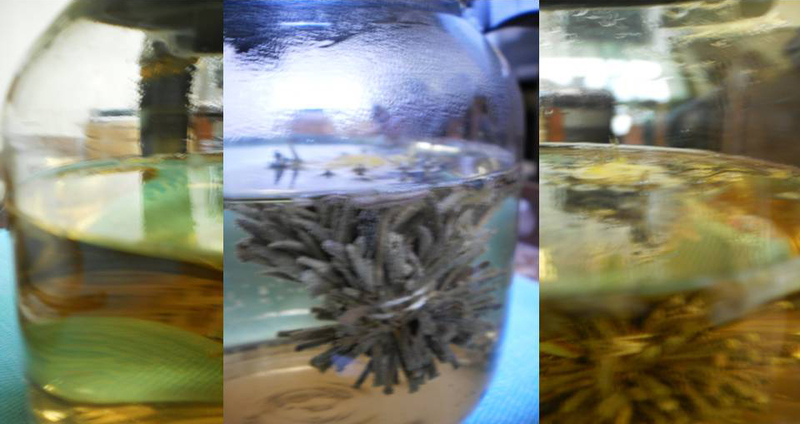 But when I can see through clear glass I enjoy watching the leaves swirling as they open up in the heated water, gradually infusing it with their hue and flavour, waiting till it’s just right before I take a sip. Sit back, my head leaning against the wall or chair, relishing the warm liquid coursing through me; cup nestled cosily between my palms as I savour the flavour of the moment. How often has life been this good, when you can sit back and reflect upon things achieved effortlessly, when everything happened exactly as you had imagined it, or better? I cannot see clearly enough inside the stoneware pot because its colour is similar to that of lightly brewed Darjeeling tea and can be deceptive. So I pour out a bit, take a sip and this has to be done at least two or three times before I am satisfied. It’s a plodding affair: remove the tea-cosy, open the lid and look inside. Does it look okay? Prod it a bit, stir it with the spoon; is it done yet? And I often equate this process with arguments or long dialogues we have with each other to ascertain what the other is thinking and where we stand in respect of them. And especially so, when you cannot get your point across, time is short and work needs to get done. But when one has the luxury of clarity: living with awareness and ease, watching thoughts unfold, heeding our own feelings, this dialogue is superfluous. Opportunities present themselves almost as if unbidden, yet are exactly what I needed and everyone seems to understand precisely what I want without elaborate discussions. Its bliss; an ideal state, but alas, nothing is permanent, is it? When I embarked on this project on tea, observing the marks left behind in the tea cup I found them evocative of those feelings and thoughts that linger in embarrassment, guilt and pain. At that point, I would not have been able to acknowledge that I had been careless in my approach to life. But, as the creative process unfolded, a lot of things became clearer because it provided an objective perspective. 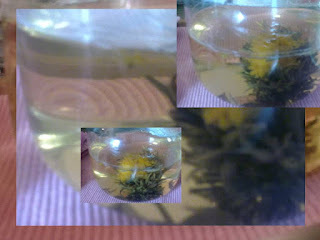 In the beginning, I took a lot of photos as I made my pot of tea each day and some were printed digitally onto fabric. For a couple of years this was how I contemplated the stains, until one day I decide to create actual tea stains onto fabric. And it was in the process of watching how I created the stains that I started making a correlation with being careless with my life - of doing things, that were punishing just because I wanted to achieve those ‘marks’ as it were. In order to stain the fabric, I made tea and drank it. The used leaves or tea bags were then placed ad hoc on some muslin fabric. Hot water was poured over them and then left for as long as I felt like it. This fabric and tea leaves were later placed in a baking tray, inside a hot oven. Sometimes I would forget about it altogether until I could smell the fabric burning. I found the dark burn marks most interesting and further ‘cooked’ this fabric with a fresh bunch of used tea leaves in the microwave oven. I punished the fabric as much as I dared. I loved the marks that emerged. I felt a certain empathy with them. They were evocative of what I had endured through life, what I felt like: burned, torn, stained and so fragile that some of the time all I seemed capable of was trying to make sense of what my life was and why it had turned out this way. I created these stains through sheer, utter carelessness. I didn't care what happened to the fabric. And in many ways I have realized that I didn’t really care what happened to me through life. I thought I did, but as life unfolded and I grappled with the pain of my carelessness, I realized just how uncaring I had been in terms of trying to understand myself. For some reason I had not thought much of what I wanted to be or do and why, but had been driven by the spoken or unspoken dictate of what was expected of me. This was not necessarily family pressure alone, but social constraints and expectations that brought into play cultural and gender conditioning and more besides. I am not alone in this; many of us are driven by these pressures until we begin to understand that it does not have to be this way. Being yourself, being different among your peers is a challenge that we are not necessarily geared to take on, which makes it harder to be what you are. When we accept that something we are embarking upon is challenging we prepare for it. Recently, I read an article on aerialist Nick Wallenda's plan to walk across the Grand Canyon in Colorado, USA, on a 2 inch wire, 1500 feet above ground, across a 1400 feet gorge, without a harness. He narrated the elaborate preparations he and his team had made for this event and I thought to myself: what if one approached living with the same attitude? We prepare for exams and job interviews and things one may do in the public domain because we know we are being watched, but when it comes to the personal sphere, these challenges – of relationships, parenthood and those of daily living, are left to pure chance - much like the stains I created on the fabric. For the last 20 years, I have spent a lot of time watching myself think and focusing upon my feelings. It felt odd at first and I would often think that I was being self-indulgent, wondering how I would achieve all that I wanted to in the span of one life, if I spent so much time this way. However, when I try and push the pace, I succumb to the stress of doing rather than being and it feels like brewing tea inside the dense stoneware pot. I have to keep looking, mostly looking back on the day, analyzing things and arriving at all manner of insecure conclusions. Drinking this bitter tea only adds to the stress. Mahipal breaking the old one has been fortuitous in reminding me of the tedium of life, when one doesn’t allow enough time to be effortlessly tuned into oneself. Despite know this, I do sometimes get caught up in the whirlwind of living. This also has its place in life but, I really must get myself another glass-tea-pot and start looking again. It is not nearly as much fun living without it. Incidentally Gopika, I am one with far less patience. My process is like this. I set the kettle to boil. As soon as it does, I put my one spoon/half spoon of leaf tea and allow it to simmer over once. Then i let the tea sit for a bit. I prefer a see through glass cup, instead. In my days at school, I had made a tea cozy for Needle Work. I have never used it though, although, while my surrogate mother, my masi was alive, she kept it very safely. No idea at all where it is now. Lovely post Gopika. I love to read anything and everything on tea.